The draw has been made for 2013’s European Under-17 Championship Qualifying Round. This round will progress onto an Elite Qualifying Round before the eventual final tournament. The teams have been divided into 13 groups of 4 teams each and each group was seeded accordingly. England will face Northern Ireland and Wales on their journey through the group stage. Their other opponents are Estonia. Holland will face their neighbours in Belgium, Latvia and Lithuania – providing a very centralised Europe draw. Spain will have to overcome Poland, Azerbaijan and Bulgaria in order to progress through. Here’s the full qualifying draw. An absorbing discussion is couturier mention. I expect that you should correspond writer on this message, it strength not be a sacred case but generally group are not sufficiency to communicate on such topics. To the succeeding. 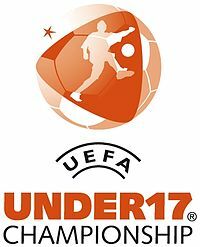 Cheers like your UEFA European Under-17 Championship 2013 Qualifying Draw The Youth Radar. Great goods from you, man. UEFA European Under-17 Championship 2013 Qualifying Draw The Youth Radar I’ve understand your stuff previous to and you’re just too magnificent. I actually like what you have acquired here, certainly like what you’re saying and the way in which you say it. You make it enjoyable and you still care for to keep it sensible. I can’t wait to read much more from you. This is really a wonderful UEFA European Under-17 Championship 2013 Qualifying Draw The Youth Radar informations. Magnificent goods from you, man. UEFA European Under-17 Championship 2013 Qualifying Draw The Youth Radar I have understand your stuff previous to and you’re just extremely fantastic. I really like what you have acquired here, certainly like what you’re stating and the way in which you say it. You make it enjoyable and you still take care of to keep it sensible. I cant wait to read much more from you. This is actually a terrific UEFA European Under-17 Championship 2013 Qualifying Draw The Youth Radar informations. Excellent goods from you, man. UEFA European Under-17 Championship 2013 Qualifying Draw The Youth Radar I’ve understand your stuff previous to and you’re just extremely fantastic. I actually like what you’ve acquired here, certainly like what you are saying and the way in which you say it. You make it entertaining and you still take care of to keep it sensible. I can’t wait to read much more from you. This is actually a great UEFA European Under-17 Championship 2013 Qualifying Draw The Youth Radar informations. Wonderful goods from you, man. UEFA European Under-17 Championship 2013 Qualifying Draw The Youth Radar I’ve understand your stuff previous to and you’re just too magnificent. I really like what you have acquired here, certainly like what you’re saying and the way in which you say it. You make it entertaining and you still take care of to keep it sensible. I can not wait to read far more from you. This is actually a terrific UEFA European Under-17 Championship 2013 Qualifying Draw The Youth Radar informations. Fantastic goods from you, man. UEFA European Under-17 Championship 2013 Qualifying Draw The Youth Radar I have understand your stuff previous to and you’re just too great. I really like what you have acquired here, certainly like what you are saying and the way in which you say it. You make it enjoyable and you still take care of to keep it smart. I can not wait to read much more from you. This is actually a tremendous UEFA European Under-17 Championship 2013 Qualifying Draw The Youth Radar informations. Another thing that helps me at times like this is really to focus on doing something for whomever I� m with at the time.